How I wish I had enough time to keep my Blog up to date! For many moons I’ve been intending to note that I have a publishing contract with Air World (an imprint of Pen & Sword) for my biography of Captain D.V. Armstrong which will be titled “Camel Pilot Supreme”. The text is delivered, and right now we’re working on the images. I’m pleased to say they’re on board with my proposal for over 100 photographs integrated with the text. 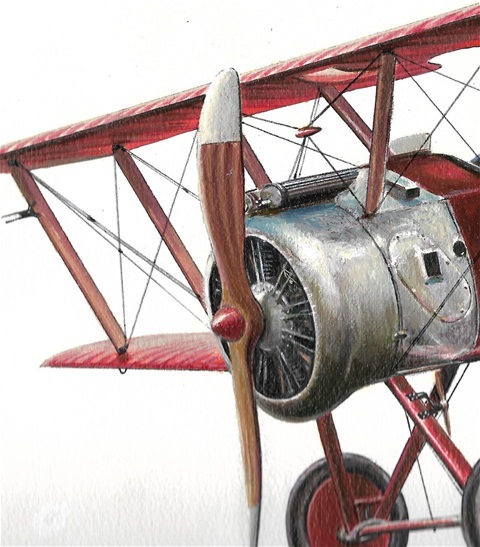 In addition we’ll have a 16-page colour section, which will include artwork by the renowned aviation artist Lynn Williams depicting some of Armstrong’s legendary performances (or ‘stunts’ in the jargon of the day). One of them will illustrate Billy Bishop's description of DVA leading his Flight in a tailchase under the bridges of the Thames. Yes, they were underflying bridges as early as World War One! With any luck the book should be out next summer.